I’ve always been a fan of action movies, but as I’ve gotten older my tastes have broadened out. I can’t imagine the 14 year old me being interested in Mike Leigh or Michael Haneke, but the 14 year old me didn’t like broccoli or chicken either, and thankfully I’m now able to watch more mature movies and eat Nando’s. But the action movies of my teen years were missing one thing that today’s explosionfests have, and that’s proper actors. The likes of Schwarzenegger, Van Damme and Stallone might have all become icons to a generation, but (possibly Stallone excepted) they’ve never been renowned for their thespian skills. So the idea that we can live in an enlightened 21st century where people renowned for their talent as well as their ability to look good rolling around on the floor while firing two guns fills me with joy. The idea of a film where Tom Hardy and Chris Pine, the soon-to-be-Bane and the hopefully-will-be-again-Captain-Kirk in an action film, even an action comedy, makes me feel like we’re living in a more enlightened time, where films can be the best of both worlds. Eat your heart out, The Renaissance. Two minutes of mirth-free, cringe-enducing mugging follow. Jokes fall so flat you imagine that the CGI budget’s been spent on removing the tumbleweeds and the kind of embarrassing set-ups that make even Jennifer Lopez rom-coms look the height of sophistication. 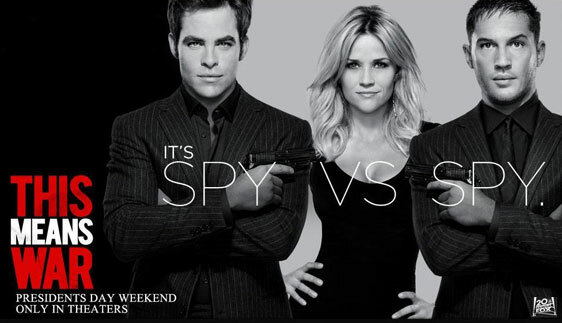 Yes, at one point, the dastardly Tom Hardy shoots Chris Pine with a tranquilliser to cause him to fall asleep mid-date. Oh, the hilarity. If you’ve recently had any kind of surgery in which you had to have your side split in order to reach internal organs, rest assured that nothing in this trailer will leave you in any danger of your wounds re-opening or those stitches coming out. So what could possibly have gone so wrong? I watched the trailer again, in the forlorn hope that actually I was in a bad mood, and that this was a quality action comedy which I had just misjudged, but no, it unfortunately looks so toe-curlingly desperate that it could set the careers of both its stars back five years. 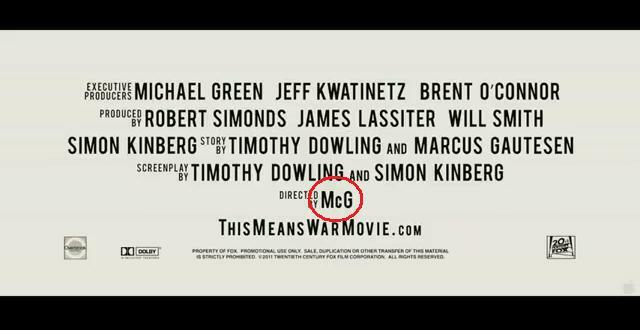 But on re-watching the trailer, I noticed one very small name in the end credits. Oh. That’ll be it then. If you still don’t believe me, watch here, but don’t say I didn’t warn you. This entry was posted in Mild Ranting and tagged action, Chris Pine, comedy, romance, Tom Hardy, tumbleweed.